The Russian and Uzbek aviation authorities have failed to resolve a number of outstanding issues related to the ongoing talks on a bilateral air travel deal. The latest round of negotiations was held on February 28 and March 1, 2018, as reported in a statement on the website of Russia’s Federal Air Transport Agency. The topics discussed involved flight frequency numbers and new destinations. The Russian delegation pointed out that the number of flights between the two countries had sunk since 2014. Russian Aviation Insider’s data indicates that Uzbekistan in 2014 had ranked eighth by traffic between Russia and other CIS countries, but that the country slid to 13th position by 2017. In an effort to spur traffic between the two countries, the Russian authorities are now proposing an unrestricted choice of frequencies, whereas Uzbekistan insists on limiting this choice to the air routes regulated by bilateral agreements. The two countries’ frequency proposals differ depending on the route. Russia suggests 14 frequencies between Samarkand and Moscow, whereas Uzbekistan only agrees to 10, and demands just five flights between Moscow and Bukhara against Russia’s 14. The Russian authorities believe the Uzbek party’s demands to be unacceptable. Uzbekistan explains its position by the requirement for each country’s airline to operate an equal share of bilateral flights. There is, however, a significant difference between the parties’ available capacities, as Russia is represented by two airlines (Aeroflot and Utair Aviation) against the other party’s Uzbekistan Airways. All the three carriers fly to Tashkent and Samarkand, the two most popular destinations in Uzbekistan. The country’s third popular destination, Bukhara, is served by UTair and Uzbekistan Airways. Uzbekistan’s demands may be linked to Uzbekistan Airways’ intentions to launch a low-cost subsidiary this year, whose main operations might include a Tashkent – Moscow route. The Russian delegation asked for adding flights from Zhukovsky and Anapa to the Russian carriers’ networks. Uzbekistan agreed to Anapa, but rejected Zhukovsky, arguing that it is another airport serving Moscow. 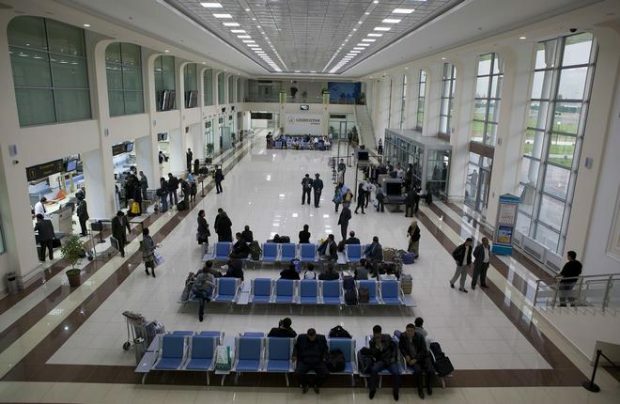 Tashkent, in turn, requested Russia’s Sochi and Vladivostok as destinations for its airlines. Moscow said it would only accept that provided Zhukovsky was approved. Although located close to the Russian capital city, Zhukovsky is not officially part of Moscow’s aviation cluster so is not considered a Moscow airport. Another request from Uzbekistan was for a selection of return flights where a new flight number would be assigned in Moscow, as in: Samarkand – Domodedovo (Flight HY-605), Domodedovo – Bukhara (HY-608), Bukhara – Domodedovo (HY-607), Domodedovo – Samarkand (HY-606). Russia promised to consider such a possibility, should Uzbekistan satisfy its frequency requests and accept the proposed additional destinations. Similar differences exist between Russia and Tajikistan. The Russian aviation authority has been accusing its Tajik counterpart of breaching international agreements and issuing surprise approvals for a number of Ural Airlines flights, including one from Perm to Dushanbe, Russia’s Sputnik newswire reports. This latest row might lead to similar measures imposed by Russia on Tajikistan. The Tajik authorities, for their part, say there is no equality in the relations between the two countries’ air services. The parties are scheduled to negotiate the matter during the last week of March 2018.